Book a selected Polar Pioneer Antarctica Cruise for 2017/201/8 and you can fly free antarctica with return flights to South America, pre and post night bonuses with our exclusive promo packages. 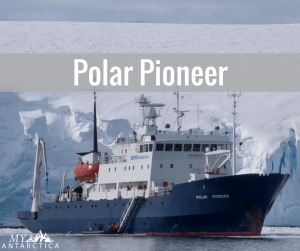 Make discovering the wonders of Antarctica and South Georgia a reality on a once in a lifetime expedition experience on one of the most intimate ships around, the 54 passenger vessel, the Polar Pioneer. 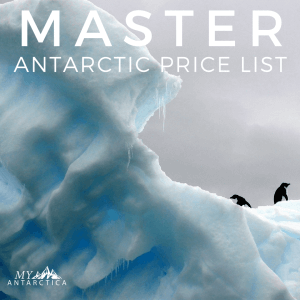 Choose from selected voyages* that explore the Antarctic Peninsula, the unmistakable South Georgia Island and even the Falkland Islands (or a combination of them) plus get free return flights to South America, pre and post voyage accommodation, airport transport all thrown in! (depending on itinerary) And there will be no single hotel supplement payable for solo travellers either. Each Polar Pioneer Antarctica Cruise includes daily serviced accommodation onboard the Polar Pioneer, all meals, snacks, tea and coffee on board, landings on Antarctica, zodiac cruising as part of your daily excursion and activity program, educational lectures and professional guiding, comprehensive pre-departure information, free access to doctor and medical services on board, use of gumboots, complimentary expedition jacket, complimentary photography memento book, entry fees to landing sites, port taxes and charges. The Fly Free Antarctica promotion ends for all bookings made by 31 October 2017 and is subject to availability. 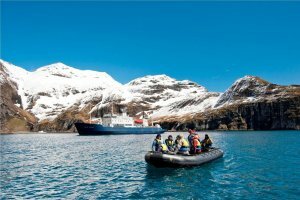 This epic cruise covers the Antarctic Peninsula, South Georgia and the Falkland Islands for one of the most in depth polar experiences available. An exclusive photography masterclass is also available on this departure. Bring in the new year cruising in Antarctica and seeing chick filled penguin colonies, curious seals or observing the whale filled channels of the deep south! Retrace the footsteps of the acclaimed explorer on this unique Antarctica voyage covering the Antarctic Peninsula and South Georgia. Go further than most explorers dare to go on this unique program combining the best of the Antarctic Peninsula with the depths of the Weddell Sea, home of giant tabular icebergs and rich fossil islands. Spend your days capturing the unforgettable wildlife of South Georgia & the Falkland Islands on this exclusive photography themed departure. *TERMS & CONDITIONS The 2017/18 Antarctica ‘Fly Free’ package is available on selected departures. Offer and prices are subject to availability and may change without notice. Package offer valid on bookings made before 31 October 2017 on the selected departures. A non-refundable deposit is required at time of booking. All packages exclude travel insurance, meals not stated on itinerary and additional travel arrangements outside the package. No hotel single supplement for solo travellers. Not valid in conjunction with any other offer. Normal expedition terms and conditions still apply. ^^From price based on triple share cabin category. Cabins subject to availability. Please contact us for package prices from other cities and cabin categories. Other package terms and conditions may apply. Contact us ON 1300 251861 for enquries and availability checks.